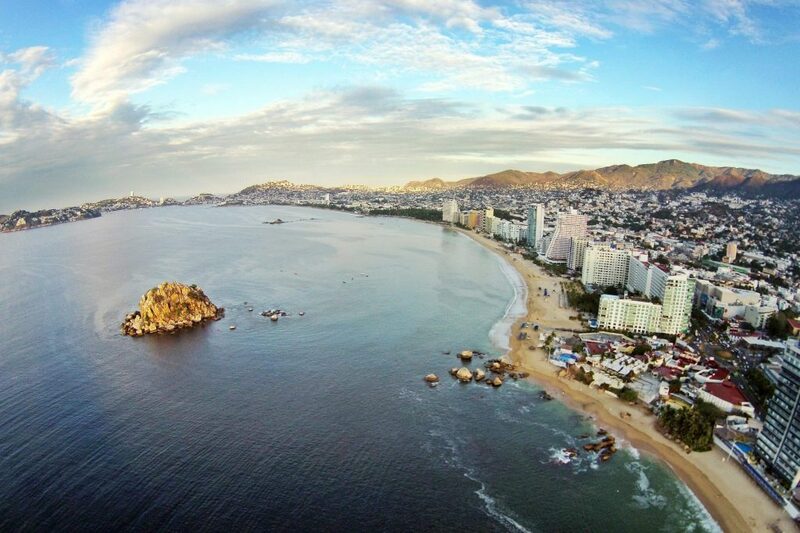 Headlines about violence likely aren’t the sole reason travelers are staying away from Acapulco, but stories calling it “Mexico’s Murder Capital” certainly don’t help. A Christmastime dropoff at the resort city of Acapulco led Mexican airport operator Grupo Aeroportuario del Centro Norte SAB to its first decline in passenger traffic for the month of December since 2009. OMA, as the company is known for short, reported a 0.2 percent decrease in total passenger traffic for December, including a 9.8 percent slump in Acapulco and a 23 percent decline in Reynosa, on the Texas border. For the full year, overall traffic rose 4.8 percent, fueled by growth at OMA’s busiest airport, in the business hub of Monterrey. Demand in December was down among domestic passengers in most of OMA’s airports, perhaps a sign that consumers were tightening their wallets. Inflation in Mexico unexpectedly accelerated in early December amid high energy and farm prices and after a hike in the minimum wage. Consumer prices climbed 6.7 percent from a year earlier, according to the nation’s statistics agency. Other airport groups had better results. Grupo Aeroportuario del Sureste SAB, which operates the Cancun airport, said Mexico traffic climbed 6.1 percent even as it grappled with weakness in Puerto Rico and Colombia. Grupo Aeroportuario del Pacifico SAB, which runs Guadalajara’s airport, reported an 8.3 percent increase. This article was written by Andrea Navarro from Bloomberg and was legally licensed through the NewsCred publisher network. Please direct all licensing questions to legal@newscred.com.